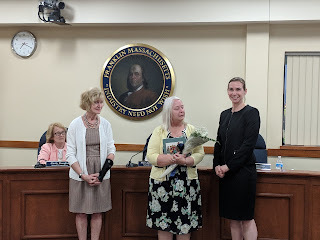 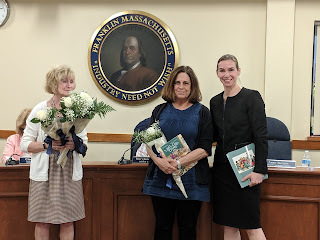 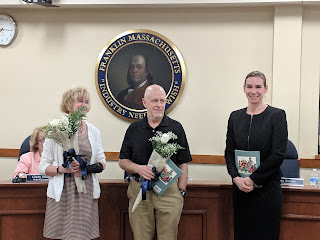 The School Committee meeting featured recognition of some of the teachers retiring this year, the superintendent's evaluation, and a presentation on yet another unfunded mandate from the State. 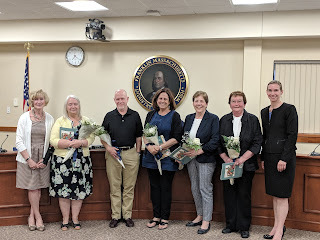 Five teachers were present to be recognized for their years of service for the school district. 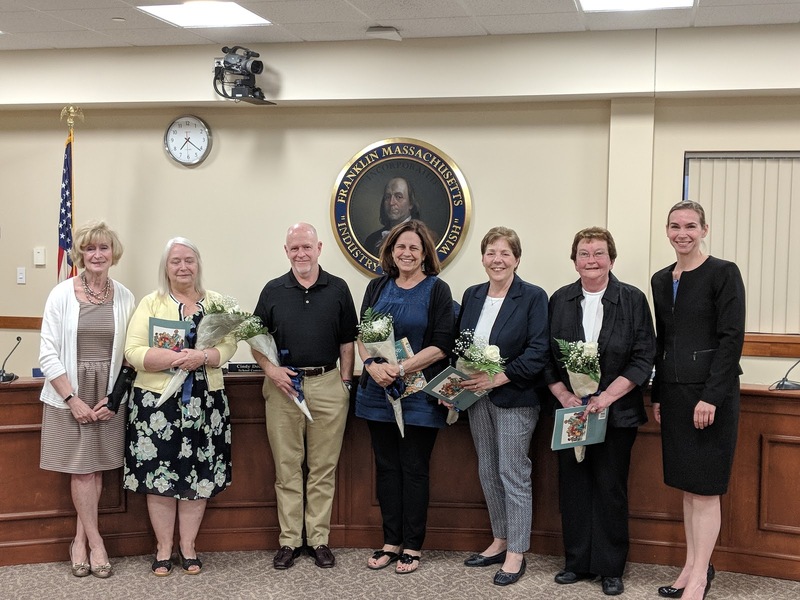 The total number retiring from the district was not revealed. 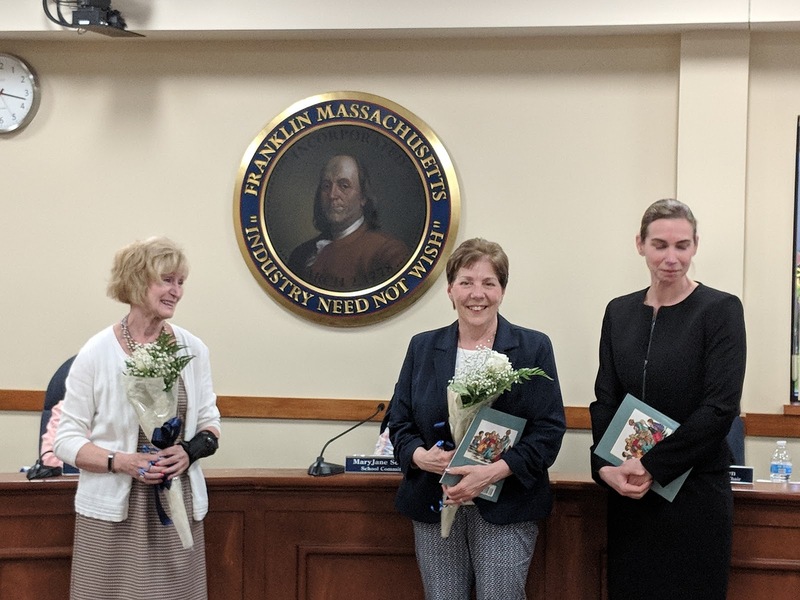 The listing of teachers that had been provided in prior years was not available before the meeting nor post meeting (as least as of Sunday, May 27). 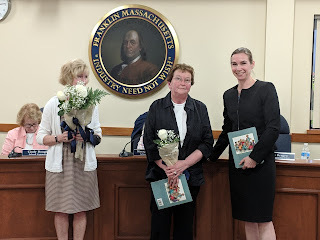 The evaluation document itself has not yet been posted to the School Committee meeting document page.